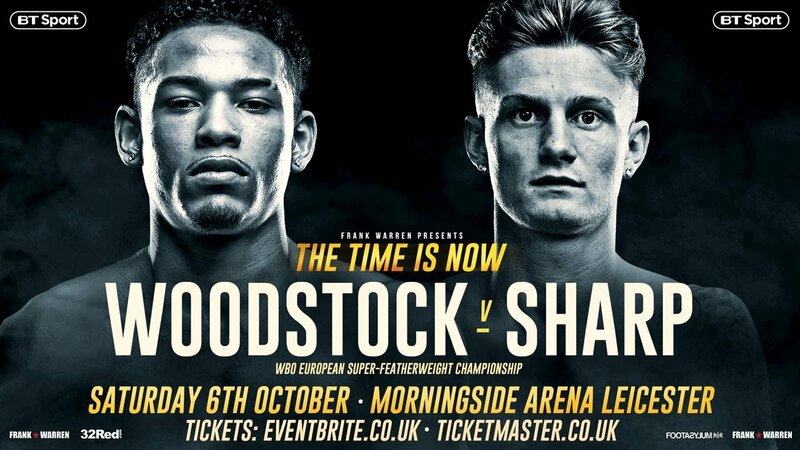 Woodstock (11-0) and Sharp (13-0) have been trading verbal punches through social media, beginning months before their fight was even announced. “I didn’t even know who the guy was until somebody showed me the tweets he was putting.” admitted the current owner of the belt, Woodstock. Both undefeated fighters met each other for the first time at the show announcement in July which gave them both the opportunity to ‘discuss’ their differences face-to-face. “I found it all very funny.” said Woodstock. He continued: “I mean, I turned up with my title and he turned up wearing a man bag! Who even has those these days?! “Blah-blah-blah!… I just let him talk because that’s what he likes to do.” Sharp replied with. “For me, the fights made, my talking will be done in the ring. Archie Sharp’s amateur pedigree has been a factor he has made clear to Woodstock all throughout, something the Leicester man has mockingly played down in return. “Lyon has to go on about my amateur career and it was this many years ago, but at the end of the day, I’m still sparring and mixing it with the likes of Luke Campbell, Joe Cordina; both top amateur fighters.